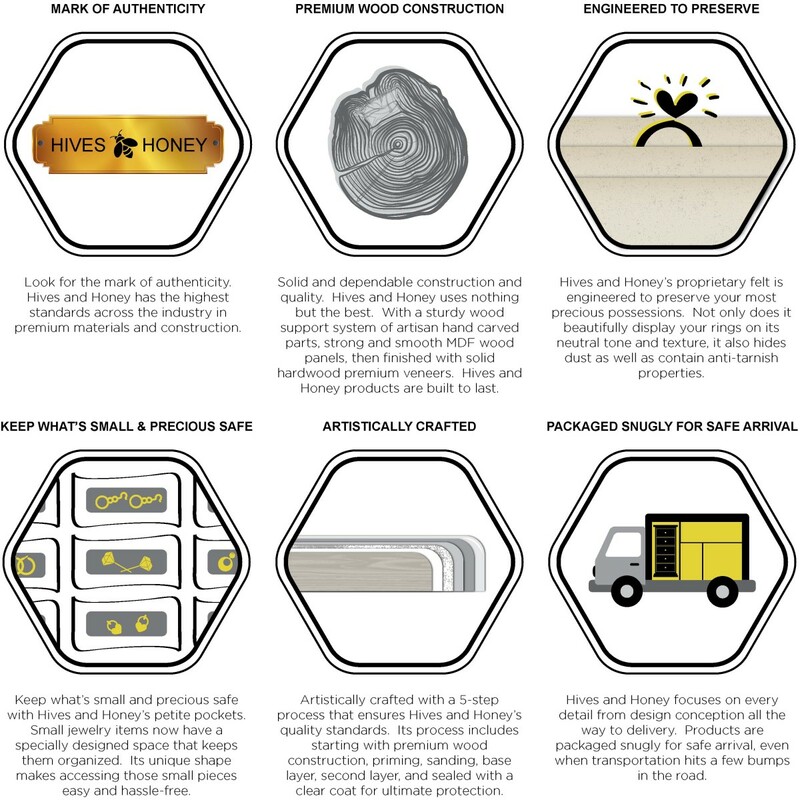 UNIQUE, HIGH QUALITY LINE OF HOME FURNISHINGS AND JEWELRY STORAGE SOLUTIONS. SKU: BLY WAL 6006-730. 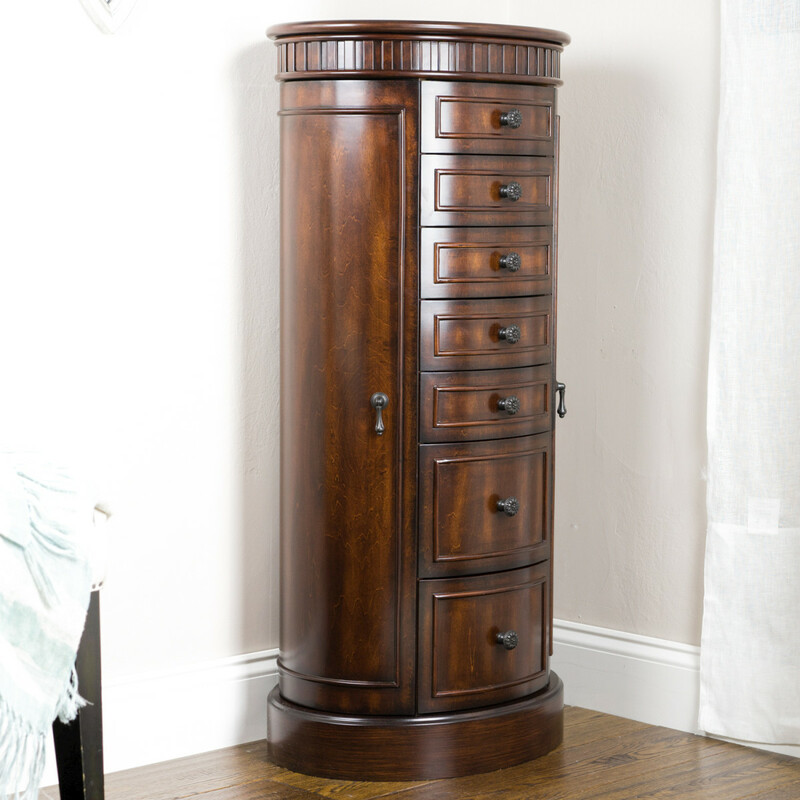 Category: Armoires. 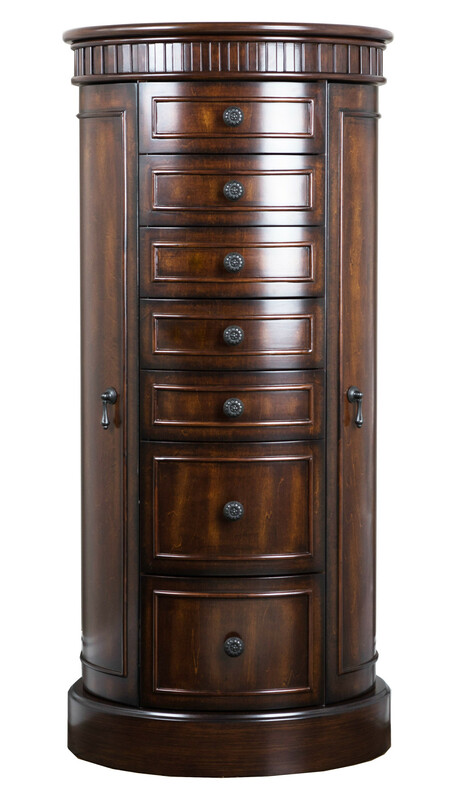 Tags: armoire, armoires, Bailey, Bailey Jewelry Armoire, Bailey Jewelry Armoire with Mirror, felt lined, fully assembled, Hives & Honey, jewelry armoire, jewelry armoires, Jewelry box, Jewelry Cabinet, jewelry organizer, mirror, Robbinston, Robbinston Wood Jewelry Armoire, side cabinets for necklaces, smartly divided compartments, Walnut Armoire. The ultimate storage solution, the Bailey Armoire houses everything you could possibly need tucked away and protected. 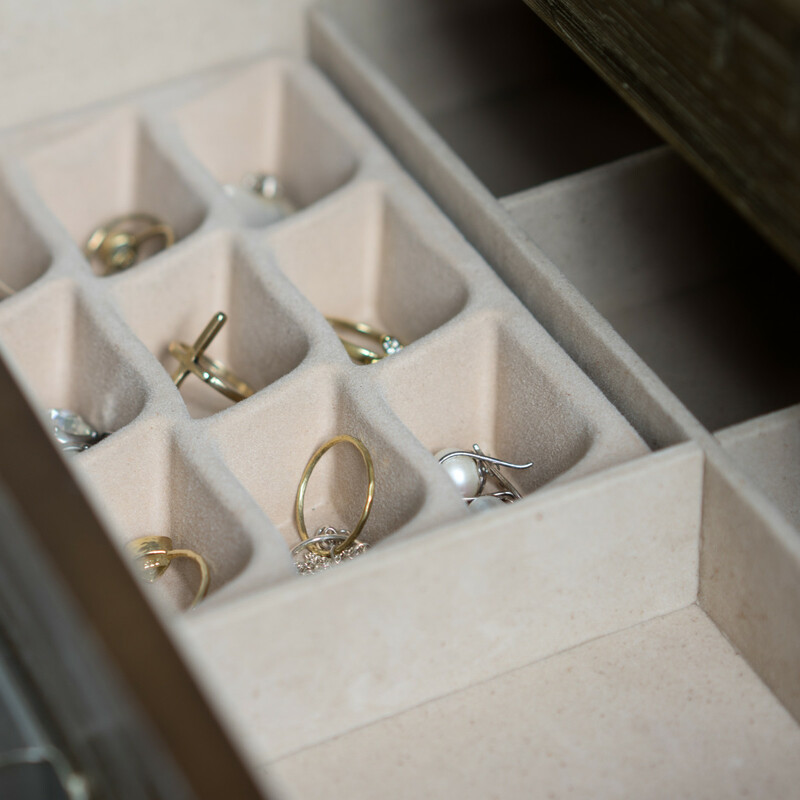 The seven divided drawers are lined with anti-tarnish felt to protect everything you put inside them. Each of the two side doors houses 10 hooks for hanging necklaces. The top compartment lifts open to reveal a mirror, ring rolls and more divided compartments lined in felt. 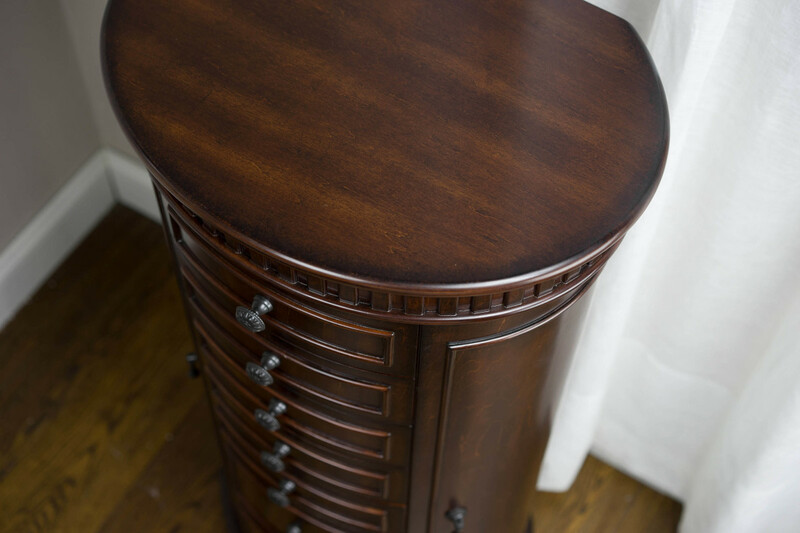 Plus, it’s a beauty with its antique walnut finish, lovely metal hardware and unique rounded shape. 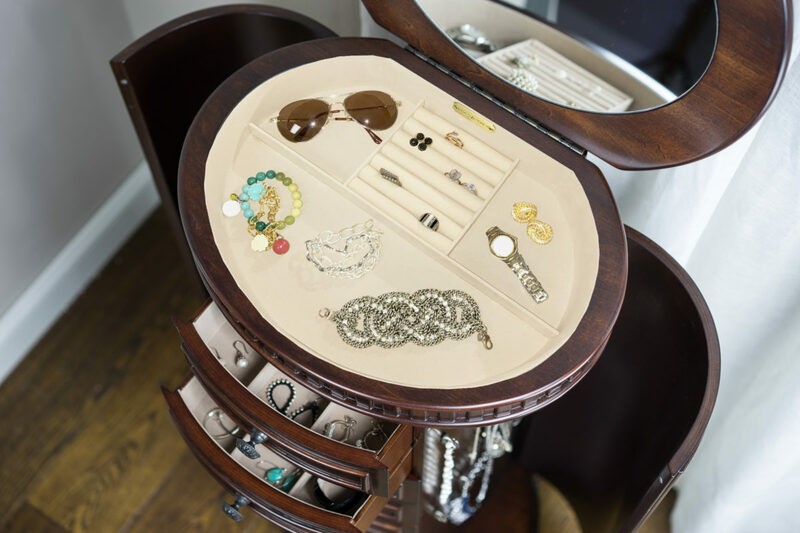 With this jewelry and accessory storage piece, you’ll never run out of space. 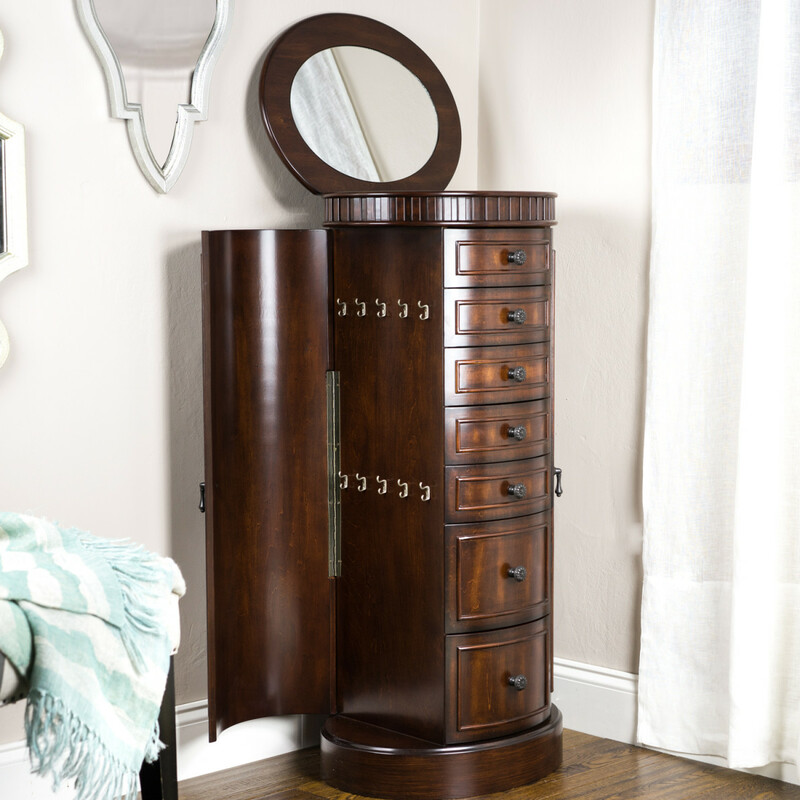 I absolutely love this jewelry armoire. The wood finish is beautiful and quality is excellent. Lots of drawer space and hanging hooks. I really like that the hooks are on the inside of the chest and not inside the doors. This way the necklaces don’t easily fall off the hooks and you can open the doors in tight spaces. A fantastic deal for the price!